Is The 3D Print Education Market Saturated? There are a lot of different 3D printers available under $500 retail due to a lot of change in the market in the last year. A bunch of new players and a couple of Steady Eddies are doing really well. One of our favorite entry-level 3D printers has been discontinued. This brought on the realization that everything’s temporary, and if you’re not growing and moving forward, you’re shrinking and going backward. 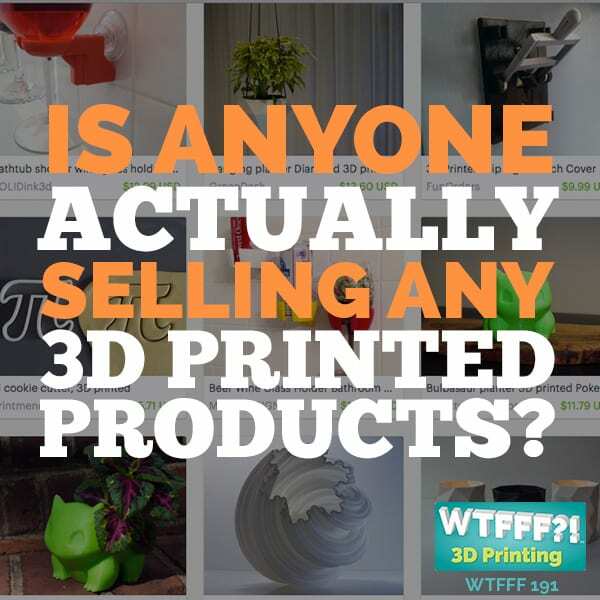 Is the 3D print education market saturated then? Does this mean it’s reaching a point where a company, even though they have a better product, doesn’t have as deep a pocket and not as big a marketing budget? The education market is one of the biggest markets in desktop 3D printing. You’ve got a lot of people battling it out for that space and it’s going to be survival of the fittest. I have some news to share with you that I don’t think is widely known in the 3D printing industry because it’s not been publicized out there. The reason I found out is I did a little digging so I’m going to share it with you. I was doing some research for an upcoming episode. It’s going to be the next episode after this one on all the different 3D printers that are available under $500 retail because it’s been an awful lot of change in the market in the last year. There’s a bunch of new players and then there’s a couple of Steady Eddies that are still doing real well in that market. I wanted to share those with you as there’s probably eight or ten printers that are worthy of being mentioned and worthy of being considered if you’re in the market for buying a 3D printer that’s under $500. In the process of doing my research for that episode, I decided to check up on one of my favorite entry-level 3D printers. 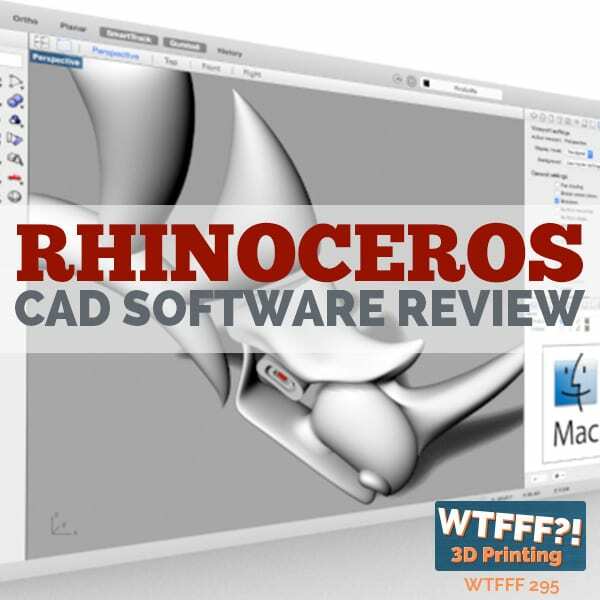 Although I know it’s generally been slightly above the $500 mark, for educational discount it was $599, I was still going to check it out and was considering adding it to the list for this under $500 3D printer rundown. That printer is the Polar3D Printer. Any of you long-time listeners will recall that we did a detailed review of that 3D printer, episode 103 called 3D Printing Circles. Also, we’re going to be creating an archive volume of our earlier episodes that have fallen off of iTunes because iTunes just shows you the last 300 and we’re over 500. We’re going to put those first 200 plus episodes back at on iTunes in an archive volume one or something, so that any of you can listen if you prefer to listen by subscribing to that channel if you didn’t listen to the early episodes, you’d be welcome to. When I did some research, I was going to see if their pricing had changed and what the situation was there. I go to the Polar 3D website and it was showing other 3D printers in their store. They were showing some Flashforge printers and also some Dremel printers. This puzzled me because Polar 3D, the major distinction of this printer and what was so impressive and darn interesting about it is that it was not a Cartesian printer. It is a printer that has a circular build plate that was about eight inches in diameter and it has its own slicing software. It would print the product by moving the build plate, by rotating it, and moving it in one access closer to or further away from the nozzle. The entire build plate never moved from side to side, but it would rotate and move forward and back. By moving in the radius of that circle and then rotating from side to side, you could lay down plastic filament anywhere on that entire circle build plate. 3D Print Education Market: Polar 3D, the major distinction of this printer and what was so impressive and darn interesting about it is that it was not a Cartesian printer. It was ingenious because the footprint of this printer to get an eight-inch diameter build plate, and then if you calculate the cubic inches or cubic volume build area for this rather simple single-color extrusion 3D printer, it could print very large objects with this small printer. The nozzle moved in the Z-stage would move up, the build plate never moved up and down. The nozzle starts low and every layer move up. I spent quite a lot of time with this printer when I conducted that review back for episode 103 and I was thoroughly impressed. Not only with how it printed, but the design of the product that created its own little Wi-Fi hotspot before most printers had Wi-Fi, this is going back a couple of years. Then it would connect to your Wi-Fi network, you could send things to it wirelessly, and it was ultra-simple. It was made in the USA. Ultimately, that ended up being a big part of its demise. As I was going through Polar 3D’s website, there’s all this talk about their Polar Cloud which is their software system and I couldn’t navigate to the Polar3D printer itself. I did some Google searching and Google is pretty good that way where even old links to pages that maybe you’ve taken out of your menu navigation, as long as they’re still available on the internet, Google is going to index them and you can find them. 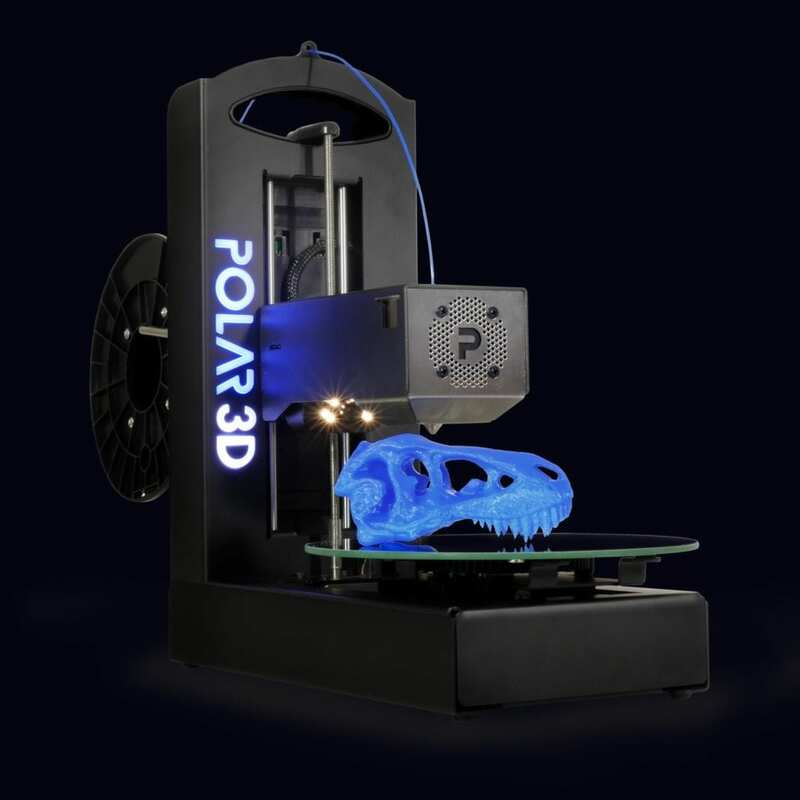 I found there was a link to the Polar3D printer for sale on their site, but it’s grayed out, you can’t order it. It says, “Sold out.” Then there’s a note here that says, “Temporarily out of inventory. In the interim, we recommend the Flashforge Inventor II,” which is a similarly priced Cartesian 3D printer. I was like, “Why would they do that?” It didn’t make any sense to me, unless they’ve either discontinued the printer or maybe another company bought them. All these things were going through my mind and I decided I’m going to pick up the phone. I had interviewed someone, we’d interviewed Bill Steele from their company and they had sent us this 3D Printer and we reviewed it and sent it back to them. I have even talked with Bill after that interview wondering if he was working on another printer and he said he was working on a bigger build plate. He had been playing with even extruding more than one different kind of filament in there. 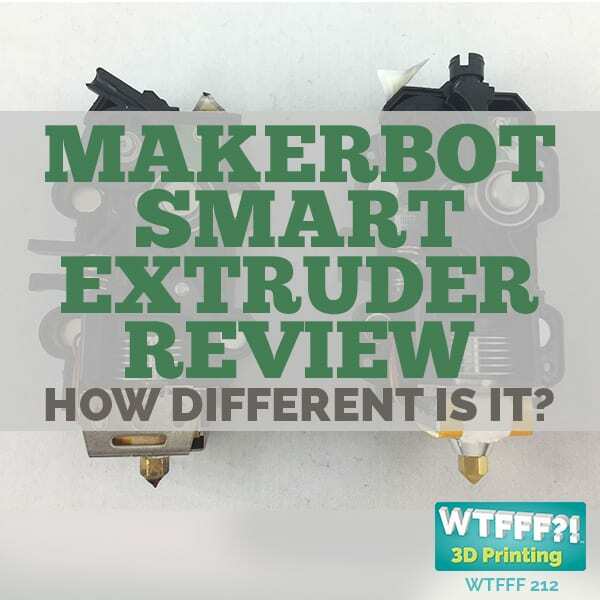 When you think about dual extrusion and a lot of the problems of having your filament drive motors, moving around with a Cartesian print head, you run into a lot of the issues with trying to do dual or multiple extrusion. The Polar3D Printer to me was ideal for being converted into using a nozzle where you could put more than one filament into it. I called and talked to him about that and he had been working on that and playing with it. I have to say I did not talk to Bill Steele before this interview. I couldn’t get in touch with him in time. I did call up and speak with someone else at their company. I could tell they were not wanting to provide much information, but I straight out ask some questions of the person I talked to. I didn’t tell him I was from WTFFF. I was just gathering information. I said, “I see that it says that you’re temporarily out of inventory on the Polar3D Printer. Is that true? Is it coming back or have you guys discontinued it?” I was sad to hear that he said they’ve discontinued it. I started to probe a little deeper and ask some more questions and he told me, I would say maybe admitted to me, that they’ve had a lot of trouble manufacturing it. 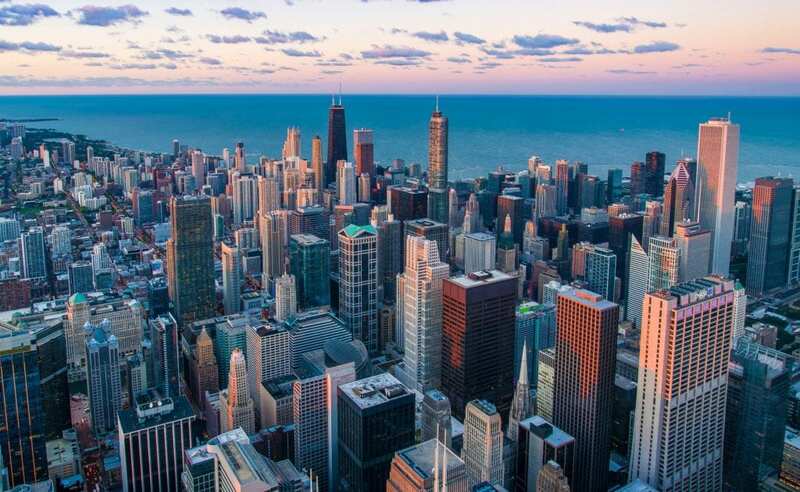 They’ve decided as a company, they’ve made a business decision, to focus more on their Polar Cloud software platform and continuing to make that be an ideal platform for the education market, which is where their entire company has been focused. Which also surprises me that they have abandoned this printer because as a 3D printer for the education market, in many ways I thought it was ideal. The entire printer was designed around portability, moving it from classroom to classroom, being easy to set up, it was also very safe in terms for students to be right around it. The other thing that I found fantastic about this printer and you’d definitely want to go to 3DStartPoint.com called 3D Printing Circles. It’s a review of that Polar3D Printer and you can see a lot of photos that I took. You can see how compared to most other 3D printers on the market, it’s ideal for people to be looking around this 3D printer. In terms of seeing what’s happening in an education environment, I also thought that was ideal. There is a video that I shot of the Polar3D Printer as I was testing it printing. In the video, you could see how wide open this printer is. From an education perspective, if you’ve got a lot of kids gathered around it trying to watch what it’s doing to learn from it, it was ideal in that way. 3D Print Education Market: One of the clichés that I often say in businesses is everything’s temporary. I feel this sense of sadness on the one hand. I’ve been in business a long time, and things change. Nothing ever stays the same. One of the clichés that I often say in businesses is everything’s temporary. That is true because if you’re not growing and moving forward, you’re maybe shrinking and going backward. Rarely does a company just stay Steady Eddy doing the same level of business consistently over a long period of time. Still, I liked this 3D printer. I respected the design and I thought they did a good job with it. I’m disappointed it’s not available. We even had several people comment over the last year or two on our review and post on this 3D printer and people saying, “I agree, I own one and is an excellent first 3D printer.” That’s what I always build it as. It’s a rather inexpensive printer around $500, $600 and you can get started very easily in 3D printing and have a lot of success with it. That’s what I liked about it. I’m sad and it says a couple of different things, maybe about the state of the desktop 3D printing market and industry. One of those things is that there’s a lot of competition out there. Does this mean that the market is reaching a saturation point where a company, even though they have a better product, maybe they don’t have as deep pockets and not as big marketing budgets? 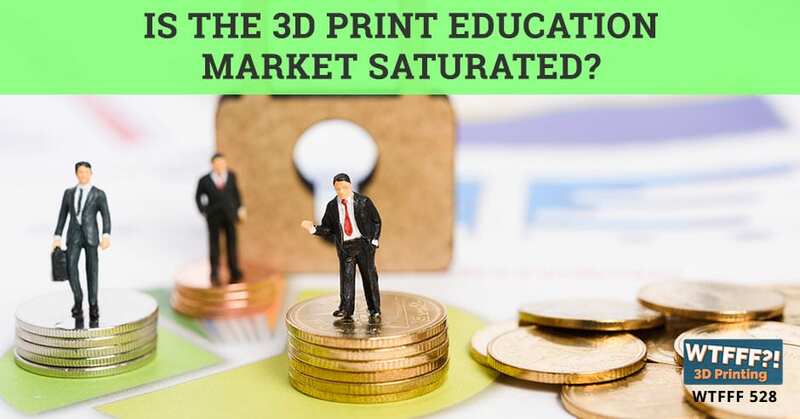 I know that every single desktop 3D print manufacturer out there, if you go and ask them what their target markets are, the first one they’re all going to say is the education market. 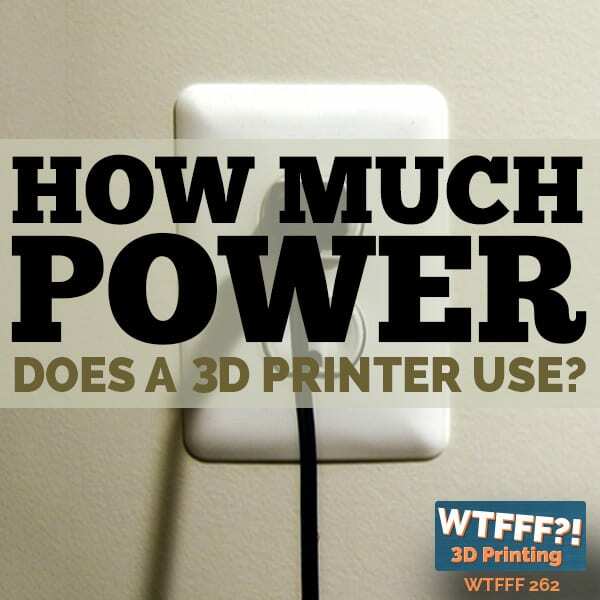 That is one of the bigger markets in desktop 3D printing. It’s also an obvious market. You’ve got a lot of people battling for that space and it’s going to be survival of the fetus. Maybe the company that does not have the best technology might win here. This is back to the old example of the Sony Betamax and VHS, although Sony did have a lot of money. There were different reasons, but everybody else adopting a different technology and VHS went forward and marketed the heck out of it and beat out Betamax that was a better product. They certainly were not the David to the bigger Goliath, so I guess in that way the analogy doesn’t hold up, but in terms of better technology, Beta was a better technology for video tape movies at the time and VHS won out because more companies were in it, spending more marketing dollars pushing it. That may have also played quite a role here for Polar 3D in their decision to focus more on their Polar Cloud, an area where I’m thinking there’s decidedly less competition in cloud-based software for 3D printing. There certainly are some competitors, but there were some unique things that the Polar Cloud did and that’s a discussion for another episode. There’s another thing that this speaks to, and that is that the Polar3D Printer was manufactured in the United States. The company was in Ohio. I don’t have any absolute confirmed data to support the conclusion that I’m drawing here, maybe you could say the assumption that I’m making here and that’s fair to say, but I have a lot of experience in manufacturing products in the United States and in Asia. I personally am of the opinion that this company, for whatever reason, did not want to go and manufacture their product outside of the United States and consider making it in Asia. If they had done that, they probably would have found a much lower cost of goods, been able to even either make more profit, or put their printer out at a lower price point to get more market share, or maybe even both. For whatever reason that that didn’t happen here, this company didn’t go down that road, or maybe if they even came to the point of accepting and being willing to do that, it may have been too late for them to be able to save this product. I’m thinking of going out and trying to find one on eBay, even second hand. It was a pretty robust little printer and used Raspberry Pi board and standard stepper motors, things like that. It was also made of pretty decent gauge sheet metal in terms of its frame. It’s a pretty sturdy printer. I’d like to have one here, especially since I know I’m not going to be able to buy one new anymore, so a little disappointing. To me it’s disappointing in the big picture because when you think about a Cartesian printer, and Polar 3D had some good videos out on YouTube, I’m sure they’re probably still there. 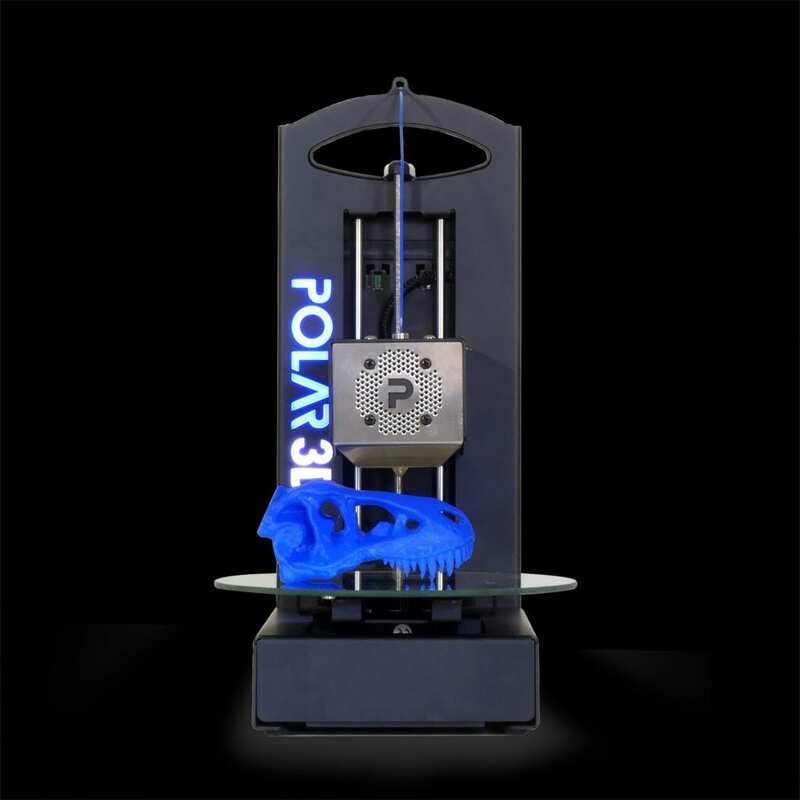 The whole concept of the Polar3D Printer and how much better it was in many ways for the 3D printer that had less moving parts because it doesn’t have the X, Y, and Z, and all these axes that are moving. It only moves in the Z-dimension, and then that build plate would rotate and move forward and back. They pioneered this technology, they invented it when they were working with Bill Steele. I remember saying when he was working with Cartesian 3D printers and trying to make one of our bigger volume and in trying to solve that problem, he came up with the idea that if you turn the build plate around, if you could rotate it, then you could access a much larger build area very easily. It was this epiphany or a-ha moment where then he came up with the whole concept for Polar 3D printing. I thought in many ways Polar was in a lot of ways better. Obviously, Cartesian is definitely the standard. The majority of FFF desktop 3D printers are Cartesian, meaning that they’re more rectilinear based like cube volumes or rectilinear volumes. Your build plate might move up and down and then your gantry and your print head is going to move in the X, Y dimension and the build plate in the Z dimension. That’s your typical way of making a 3D printer. 3D Print Education Market: Compared to most other 3D printers on the market, it’s ideal for people to be looking around this 3D printer. It’s pretty loud. There’s a lot of motion going on, there’s a lot more wear and tear on the motors and the different bearings and things. That’s one of the other things about the Polar3D Printer that I liked is how quiet it was. I’m bummed. It’s disappointing. To me, there’s this strange cognitive dissonance that happens when I go to the Polar 3D website now and I’m seeing these printers that are Cartesian printers, they are not Polar. They still call their company Polar 3D and they have their Polar Cloud, but there’s no more Polar to it. That’s a little odd, but we’ll have to get over that. I hope the company continues to do well. They were providing a great service in the education market and their Polar Cloud is still there and they are selling printers some Flashforge models and some Dremel models slightly branded under the name. They call it Polar Cloud Flashforge printer and Polar Cloud Dremel printer, so they’re co-branding these things. They’re still providing support. If you’ve got the original Polar3D Printer, you can still call the company. Someone in the US answers the phone and you can get whatever support you need, so that’s good. They’re still around. I’m curious of how many of you out there have this 3D printer and how has your experience been with it since we did this episode originally. Hopefully you’re still getting support, but the impression I get is people that use this printer do like the printer overall and I’m sure they’re going to be sad to see it go. Let us know your thoughts. If you’re using the Polar Cloud, I’d like to hear from you. You can leave a comment at 3DStartPoint.com, or you can reach out to us on social media anywhere at @3DStartPoint. Remember as I talked about in the beginning of this episode, the next episode’s going to have a run-down of what I think are the best 3D printers under $500 available on the market today. 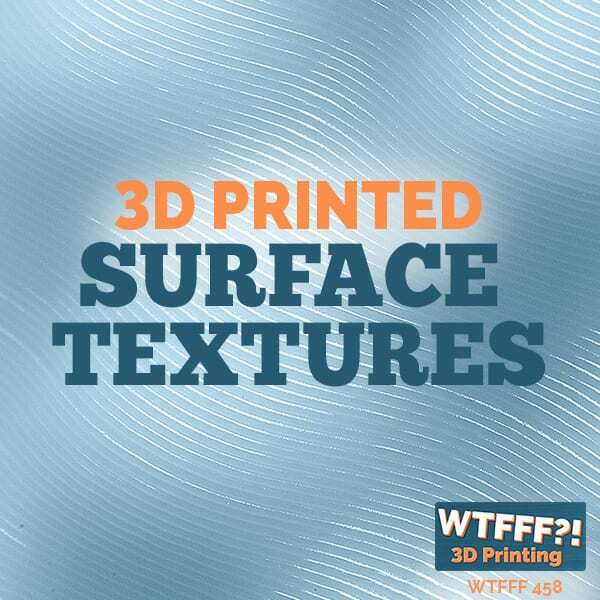 That’s going to be some useful information, especially for people getting started in desktop 3D printing. Thanks very much. This has been Tom on the WTFFF 3D Printing Podcast. Don’t get me wrong, I enjoy your podcast immensely. However, you should change the name of the one about the education market for 3D printing being saturated to something about the demise of Polar3D. I was really looking forward to a discussion or overview of the trends in 3D printing in the education market and which companies have grown in that area and which ones have died out. I am grateful though for the many, many, many episodes of entertaining and informative 3D printing related content you have brought to us over the years. Thank you for that and keep up the good work. Thanks for the input Greg – we will do an episode on that in the near future.